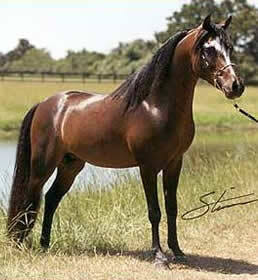 Home > Puppy Blog > Ancietnt CaspiansPosts tagged ""
The Caspian horses for sale are the most ancient breed of horses today. This breed is over 5,00 years old and was once nearly extinct. This rare breed was no longer extinct after Louise Firouz came across this horse on the Caspian Sea in 1965. At that time they believed there were only a total of 50 Caspian horses along the entire coast of the Caspian Sea! 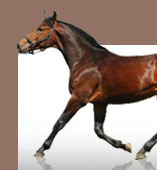 The Caspian breed is a very unique and is one of the most gentle Equine breeds. They make the perfect horses for young children or adults with little to no horse riding experience at all. Sometimes Caspian horses are mistaken for ponies, for they are basically a miniature horse that stands 10-13 hands tall, fully grown. One amazing thing about this breed is that they do not need to be shoed due to the shape of their hooves. They only need minimal grooming and no serious common health problems have ever been reported. Even with their different structures compared to other horse breeds, they can live up to 25 years old. They are very sociable and get along with other animals! The first U.S. breeding program opened in 1995. Considering the current world wide population is now at about 900, the establishment was a huge success. However, this still leaves this ancient breed still on the “Critically Endangered List.” Anyone searching for a horse for themselves or children should highly consider adding a Caspian to their family. Don’t let their small size turn you away, for they can hold adults and heavy loads! Choose Caspian, and you’re definitely choosing the best!